"Thomas a Becket" redirects here. For other uses, see Thomas a Becket (disambiguation) and Thomas Beckett. Thomas Becket (/ˈbɛkɪt/), also known as Saint Thomas of Canterbury, Thomas of London and later Thomas à Becket[note 1] (21 December c. 1119 (or 1120) – 29 December 1170), was Archbishop of Canterbury from 1162 until his murder in 1170. He is venerated as a saint and martyr by both the Catholic Church and the Anglican Communion. He engaged in conflict with Henry II, King of England, over the rights and privileges of the Church and was murdered by followers of the king in Canterbury Cathedral. Soon after his death, he was canonised by Pope Alexander III. The main sources for the life of Becket are a number of biographies written by contemporaries. A few of these documents are by unknown writers, although traditional historiography has given them names. The known biographers are John of Salisbury, Edward Grim, Benedict of Peterborough, William of Canterbury, William fitzStephen, Guernes of Pont-Sainte-Maxence, Robert of Cricklade, Alan of Tewkesbury, Benet of St Albans, and Herbert of Bosham. The other biographers, who remain anonymous, are generally given the pseudonyms of Anonymous I, Anonymous II (or Anonymous of Lambeth), and Anonymous III (or Lansdowne Anonymous). Besides these accounts, there are also two other accounts that are likely contemporary that appear in the Quadrilogus II and the Thómas saga Erkibyskups. Besides these biographies, there is also the mention of the events of Becket's life in the chroniclers of the time. These include Robert of Torigni's work, Roger of Howden's Gesta Regis Henrici Secundi and Chronica, Ralph Diceto's works, William of Newburgh's Historia Rerum, and Gervase of Canterbury's works. Becket was born about 1119, or in 1120 according to later tradition. He was born in Cheapside, London, on 21 December, which was the feast day of St Thomas the Apostle. He was the son of Gilbert and Matilda Beket. [note 2] Gilbert's father was from Thierville in the lordship of Brionne in Normandy, and was either a small landowner or a petty knight. 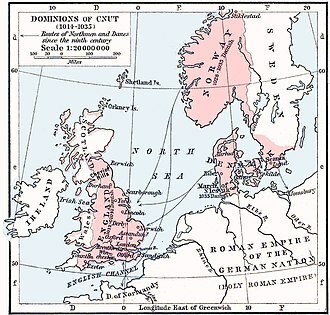 Matilda was also of Norman descent, and her family may have originated near Caen. Gilbert was perhaps related to Theobald of Bec, whose family also was from Thierville. 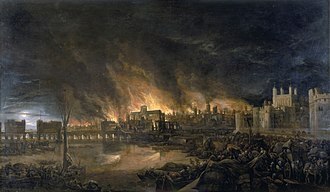 Gilbert began his life as a merchant, perhaps as a textile merchant, but by the 1120s he was living in London and was a property owner, living on the rental income from his properties. He also served as the sheriff of the city at some point. They were buried in Old St Paul's Cathedral. Beginning when he was 10, Becket was sent as a student to Merton Priory in England and later attended a grammar school in London, perhaps the one at St Paul's Cathedral. He did not study any subjects beyond the trivium and quadrivium at these schools. Later, he spent about a year in Paris around age 20. He did not, however, study canon or civil law at this time and his Latin skill always remained somewhat rudimentary. Some time after Becket began his schooling, Gilbert Beket suffered financial reverses, and the younger Becket was forced to earn a living as a clerk. Gilbert first secured a place for his son in the business of a relative – Osbert Huitdeniers – and then later Becket acquired a position in the household of Theobald of Bec, by now the Archbishop of Canterbury. Theobald entrusted him with several important missions to Rome and also sent him to Bologna and Auxerre to study canon law. 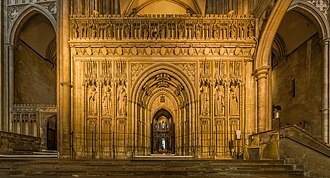 Theobald in 1154 named Becket Archdeacon of Canterbury, and other ecclesiastical offices included a number of benefices, prebends at Lincoln Cathedral and St Paul's Cathedral, and the office of Provost of Beverley. His efficiency in those posts led to Theobald recommending him to King Henry II for the vacant post of Lord Chancellor, to which Becket was appointed in January 1155. As Chancellor, Becket enforced the king's traditional sources of revenue that were exacted from all landowners, including churches and bishoprics. King Henry even sent his son Henry to live in Becket's household, it being the custom then for noble children to be fostered out to other noble houses. 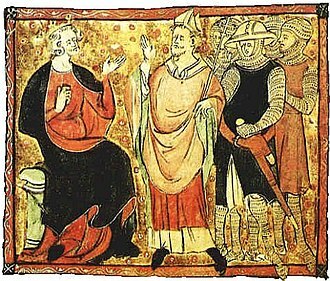 The younger Henry was reported to have said Becket showed him more fatherly love in a day than his father did for his entire life. 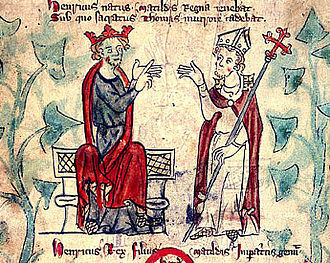 A rift grew between Henry and Becket as the new archbishop resigned his chancellorship and sought to recover and extend the rights of the archbishopric. This led to a series of conflicts with the King, including that over the jurisdiction of secular courts over English clergymen, which accelerated antipathy between Becket and the king. 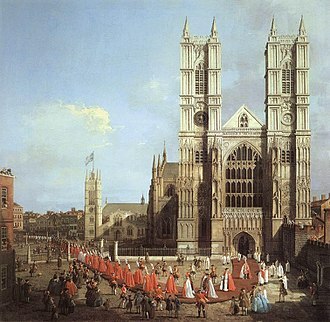 Attempts by Henry to influence the other bishops against Becket began in Westminster in October 1163, where the King sought approval of the traditional rights of the royal government in regard to the church. This led to the Constitutions of Clarendon, where Becket was officially asked to agree to the King's rights or face political repercussions. King Henry II presided over the assemblies of most of the higher English clergy at Clarendon Palace on 30 January 1164. In sixteen constitutions, he sought less clerical independence and a weaker connection with Rome. He employed all his skills to induce their consent and was apparently successful with all but Becket. Finally, even Becket expressed his willingness to agree to the substance of the Constitutions of Clarendon, but he still refused to formally sign the documents. 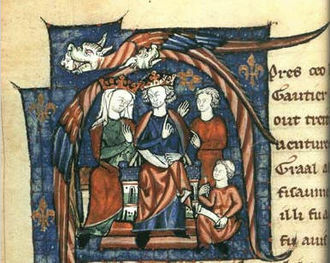 Henry summoned Becket to appear before a great council at Northampton Castle on 8 October 1164, to answer allegations of contempt of royal authority and malfeasance in the Chancellor's office. Convicted on the charges, Becket stormed out of the trial and fled to the Continent. Henry pursued the fugitive archbishop with a series of edicts, targeting Becket as well as all of Becket's friends and supporters, but King Louis VII of France offered Becket protection. He spent nearly two years in the Cistercian abbey of Pontigny, until Henry's threats against the order obliged him to return to Sens. Becket fought back by threatening excommunication and interdict against the king and bishops and the kingdom, but Pope Alexander III, though sympathising with him in theory, favoured a more diplomatic approach. Papal legates were sent in 1167 with authority to act as arbitrators. A Seal of the Abbot of Arbroath, showing the murder of Becket. Arbroath Abbey was founded 8 years after the death of St. Thomas and dedicated to him; it became the wealthiest abbey in Scotland. In June 1170, Roger de Pont L'Évêque, the archbishop of York, along with Gilbert Foliot, the Bishop of London, and Josceline de Bohon, the Bishop of Salisbury, crowned the heir apparent, Henry the Young King, at York. This was a breach of Canterbury's privilege of coronation, and in November 1170 Becket excommunicated all three. While the three clergymen fled to the king in Normandy, Becket continued to excommunicate his opponents in the church, the news of which also reached Henry II, Henry the Young King's father. Upon hearing reports of Becket's actions, Henry is said to have uttered words that were interpreted by his men as wishing Becket killed. The king's exact words are in doubt and several versions have been reported. The most commonly quoted, as handed down by oral tradition, is "Will no one rid me of this turbulent priest? ", but according to historian Simon Schama this is incorrect: he accepts the account of the contemporary biographer Edward Grim, writing in Latin, who gives us "What miserable drones and traitors have I nourished and brought up in my household, who let their lord be treated with such shameful contempt by a low-born cleric?" Many variations have found their way into popular culture. 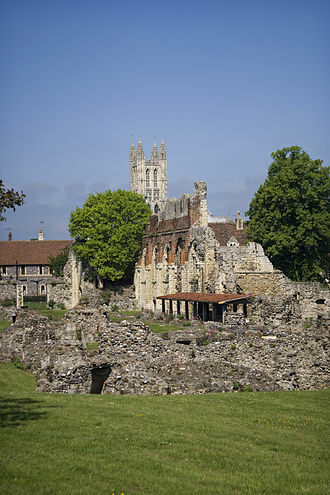 On 29 December 1170 they arrived at Canterbury. According to accounts left by the monk Gervase of Canterbury and eyewitness Edward Grim, they placed their weapons under a tree outside the cathedral and hid their mail armour under cloaks before entering to challenge Becket. The knights informed Becket he was to go to Winchester to give an account of his actions, but Becket refused. It was not until Becket refused their demands to submit to the king's will that they retrieved their weapons and rushed back inside for the killing. Becket, meanwhile, proceeded to the main hall for vespers. The four knights, wielding drawn swords, caught up with him in a spot near a door to the monastic cloister, the stairs into the crypt, and the stairs leading up into the quire of the cathedral, where the monks were chanting vespers. Altar marking the spot of Thomas Becket's martyrdom, Canterbury Cathedral. Installed in 1986, the dramatic new sculpture represents four swords for the four knights (two metal swords with reddened tips and their two shadows). The design is the work of Giles Blomfield of Truro. The wicked knight leapt suddenly upon him, cutting off the top of the crown which the unction of sacred chrism had dedicated to God. Next he received a second blow on the head, but still he stood firm and immovable. At the third blow he fell on his knees and elbows, offering himself a living sacrifice, and saying in a low voice, "For the name of Jesus and the protection of the Church, I am ready to embrace death." But the third knight inflicted a terrible wound as he lay prostrate. By this stroke, the crown of his head was separated from the head in such a way that the blood white with the brain, and the brain no less red from the blood, dyed the floor of the cathedral. The same clerk who had entered with the knights placed his foot on the neck of the holy priest and precious martyr, and, horrible to relate, scattered the brains and blood about the pavements, crying to the others, 'Let us away, knights; this fellow will arise no more. Another account can be found in Expugnatio Hibernica ("Conquest of Ireland", 1189) written by Gerald of Wales. Following Becket's death, the monks prepared his body for burial. According to some accounts, it was discovered that Becket had worn a hairshirt under his archbishop's garments—a sign of penance. Soon after, the faithful throughout Europe began venerating Becket as a martyr, and on 21 February 1173—little more than two years after his death—he was canonised by Pope Alexander III in St Peter's Church in Segni. In 1173, Becket's sister Mary was appointed Abbess of Barking as reparation for the murder of her brother. On 12 July 1174, in the midst of the Revolt of 1173–74, Henry humbled himself with public penance at Becket's tomb as well as at the church of St. Dunstan's, which became one of the most popular pilgrimage sites in England. Becket's assassins fled north to de Morville's Knaresborough Castle, where they remained for about a year. De Morville also held property in Cumbria and this may also have provided a convenient bolt-hole, as the men prepared for a longer stay in the separate kingdom of Scotland. They were not arrested and neither did Henry confiscate their lands, but he failed to help them when they sought his advice in August 1171. Pope Alexander excommunicated all four. 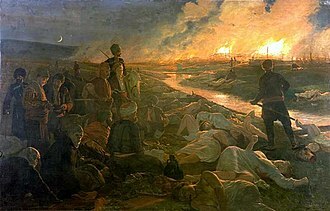 Seeking forgiveness, the assassins travelled to Rome and were ordered by the Pope to serve as knights in the Holy Lands for a period of fourteen years. This sentence also inspired the Knights of Saint Thomas, incorporated in 1191 at Acre, and which was to be modelled on the Teutonic Knights. This was the only military order native to England (with chapters in not only Acre, but London, Kilkenny, and Nicosia), just as the Gilbertine Order was the only monastic order native to England. Nevertheless, Henry VIII dissolved both of these English institutions at the time of the Reformation, rather than merging them with foreign orders or nationalising them as elements of the Protestant Church of England. The monks were afraid that Becket's body might be stolen. To prevent this, Becket's remains were placed beneath the floor of the eastern crypt of the cathedral. A stone cover was placed over the burial place with two holes where pilgrims could insert their heads and kiss the tomb; this arrangement is illustrated in the "Miracle Windows" of the Trinity Chapel. A guard chamber (now called the Wax Chamber) had a clear view of the grave. In 1220, Becket's bones were moved to a new gold-plated and bejewelled shrine behind the high altar in the Trinity Chapel. The shrine was supported by three pairs of pillars, placed on a raised platform with three steps. This is also illustrated in one of the miracle windows. Canterbury, because of its religious history, had always seen many pilgrims, and after the death of Thomas Becket their numbers rose rapidly. Arbroath Abbey seal, depicting murder of St Thomas. In Scotland, King William the Lion ordered the building of Arbroath Abbey in 1178. On completion in 1197 the new foundation was dedicated to Becket, whom the king had known personally while at the English court as a young man. On 7 July 1220, in the 50th jubilee year of his death, Becket's remains were moved from this first tomb to a shrine in the recently completed Trinity Chapel. This act of translation was "one of the great symbolic events in the life of the medieval English Church" and was attended by King Henry III, the papal legate, the Archbishop of Canterbury Stephen Langton and large numbers of dignitaries and magnates secular and ecclesiastical. Thus a "major new feast day was instituted, commemorating the translation, that was celebrated each July almost everywhere in England and also in many French churches". This feast was suppressed in 1536 at the Reformation. The shrine stood until it was destroyed in 1538, during the Dissolution of the Monasteries, on orders from King Henry VIII. The king also destroyed Becket's bones and ordered that all mention of his name be obliterated. As the scion of the leading mercantile dynasty of later centuries, Mercers, Becket was very much regarded as a Londoner by the citizens and was adopted as London's co-patron saint with St Paul: both their images appeared on the seals of the city and of the Lord Mayor. The Bridge House Estates seal used only the image of Becket, while the reverse featured a depiction of his martyrdom. Local legends regarding Becket arose after his canonisation. Though they are typical hagiographical stories, they also display Becket's particular gruffness. "Becket's Well", in Otford, Kent, is said to have been created after Becket had become displeased with the taste of the local water. Two springs of clear water are said to have bubbled up after he struck the ground with his crozier. The absence of nightingales in Otford is also ascribed to Becket, who is said to have been so disturbed in his devotions by the song of a nightingale that he commanded that none should sing in the town ever again. In the town of Strood, also in Kent, Becket is said to have caused the inhabitants of the town and their descendants to be born with tails. The men of Strood had sided with the king in his struggles against the archbishop, and to demonstrate their support, had cut off the tail of Becket's horse as he passed through the town. The saint's fame quickly spread throughout the Norman world. The first holy image of Becket is thought to be a mosaic icon still visible in Monreale Cathedral, in Sicily, created shortly after his death. Becket's cousins obtained refuge at the Sicilian court during his exile, and King William II of Sicily wed a daughter of Henry II. The principal church of the Sicilian city of Marsala is dedicated to St Thomas Becket. Over forty-five medieval chasse reliquaries decorated in champlevé enamel showing similar scenes from Becket's life survive, including the Becket Casket, originally constructed to hold relics of the saint at Peterborough Abbey, and now housed in the Victoria and Albert Museum in London. In 1170 the king of Castille Alfonso VIII married Eleanor Plantagenet, the second daughter of Henry II. She honoured Becket with a wall painting of his martyrdom that is preserved in the church of San Nicolás de Soria in Spain. The assassination of Becket made an impact in Spain; within five years after his death there was a church in Salamanca named after him, Iglesia de Santo Tomás Cantuariense. Geoffrey Chaucer's The Canterbury Tales is set in a company of pilgrims on their way from Southwark to the shrine of St Thomas Becket in Canterbury Cathedral. The story of Becket's life became a popular theme for the medieval Nottingham Alabaster carvers. One set of Becket panels is displayed in the Victoria and Albert Museum. The coat of arms of Canterbury, officially registered in 1619, but dating back to at least 1380, is based on the alleged arms of Thomas Becket, Argent three Cornish choughs proper two and one, accompanied by a chief in red with a gold lion from the Royal Arms of England. In 1884, England's poet laureate Alfred, Lord Tennyson wrote Becket, a play about Thomas Becket and Henry II. Henry Irving produced the play after Tennyson's death, and was celebrated in the title role. Modern works based on the story of Thomas Becket include T. S. Eliot's play Murder in the Cathedral, Jean Anouilh's play Becket (where Becket is no longer a Norman but a Saxon), which was made into a movie with the same title, and Paul Webb's play Four Nights in Knaresborough. 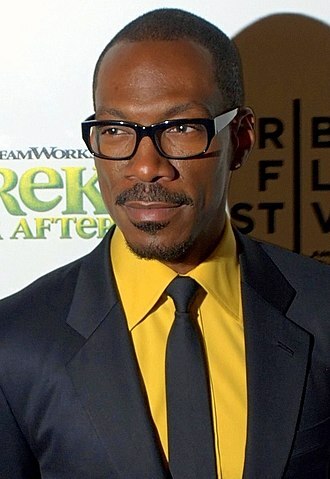 Webb has adapted his play for the screen and sold the rights to Harvey and Bob Weinstein. The struggle between Church's and King's power is a theme of Ken Follett's novel The Pillars of the Earth, of which one of the last scenes features the murder of Thomas Becket. Medieval mystery author Jeri Westerson recreated Chaucer's pilgrims and their time in Canterbury, along with murder and the theft of Becket's bones in her fourth novel in the Crispin Guest series Troubled Bones. An oratorio by David Reeves entitled Becket (The Kiss of Peace) premiered in 2000 at the Canterbury Cathedral, where the actual event took place, as a part of the Canterbury Festival and was used as a fundraiser for the Prince's Trust. The Becket Fund for Religious Liberty, a nonprofit, nonpartisan, interfaith, legal and educational institute dedicated to protecting the free expression of all religious traditions, took its inspiration and namesake from Thomas Becket. In a 2006 poll by BBC History magazine for "worst Briton" of the previous millennium, Becket came second behind Jack the Ripper. 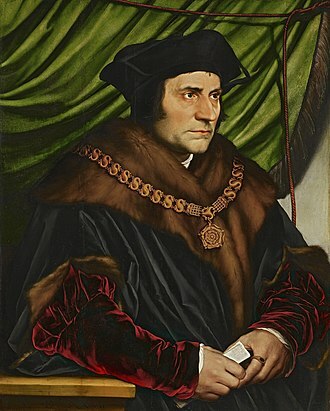 The poll was dismissed as "daft" in The Guardian, and the result disputed by Anglicans and Catholics. Historians had nominated one person per century, and for the 12th century John Hudson chose Becket for being "greedy", "hypocritical", "founder of gesture politics" and "master of the soundbite". The magazine editor suggested most other nominees were too obscure for voters, as well as saying, "In an era when thumbscrews, racks and burning alive could be passed off as robust law and order—being guilty of 'gesture politics' might seem something of a minor charge." There are many churches named after Thomas Becket in the UK, including Cathedral Church of St Thomas of Canterbury, Portsmouth, St Thomas of Canterbury Church, Canterbury, Church of St Thomas the Martyr, Monmouth, St Thomas à Becket Church, Pensford, St Thomas à Becket Church, Widcombe, Church of St Thomas à Becket, Capel, St Thomas the Martyr, Bristol and St Thomas the Martyr's Church, Oxford. and in France, including Église Saint-Thomas de Cantorbéry at Mont-Saint-Aignan (Upper-Normandy), Église Saint-Thomas-Becket at Gravelines (Nord-Pas-de-Calais), Église Saint-Thomas Becket at Avrieux (Rhône-Alpes), Église saint-Thomas Becket at Bénodet (Brittany), etc. As part of his obligations in contrition to Henry, William de Tracey significantly enlarged and re-dedicated the parish church in Lapford, Devon to St Thomas of Canterbury as it lay within his manor of Bradninch. The martyrdom is commemorated by the Lapford Revel to this day. There are many schools named after Thomas Becket in Great Britain, including Becket Keys Church of England School and St Thomas of Canterbury Church of England Aided Junior School. There is a section of the city of Esztergom, Hungary named Szenttamás ("Saint Thomas"), on a hill called "Szent Tamás", both named after Thomas Becket. Among the possessions of the treasury of the Fermo Cathedral is the Fermo chasuble of St. Thomas Becket, on display at Museo Diocesano. ^ The name "Thomas à Becket" is not contemporary, and appears to be a post-Reformation creation, possibly in imitation of Thomas à Kempis. ^ There is a story that Thomas's mother was a Saracen princess who met and fell in love with his English father while he was on Crusade or pilgrimage in the Holy Land, followed him home, was baptised and married him. This story has no truth to it, being a fabrication from three centuries after the saint's martyrdom and inserted as a forgery into Edward Grim's contemporary (12th century) Life of St Thomas. Matilda occasionally is known as Rohise. ^ Kristopher James (4 May 2014). Ultimate Guide to...Canterbury Tales: General Prologue. Lulu.com. pp. 16–. ISBN 978-1-4475-9166-5. Retrieved 20 August 2015. ^ Forester, Thomas (2001). Giraldus Cambrensis – The Conquest of Ireland. Cambridge, Ontario: In Parentheses Publications. ^ William Page & J. Horace Round, ed. (1907). 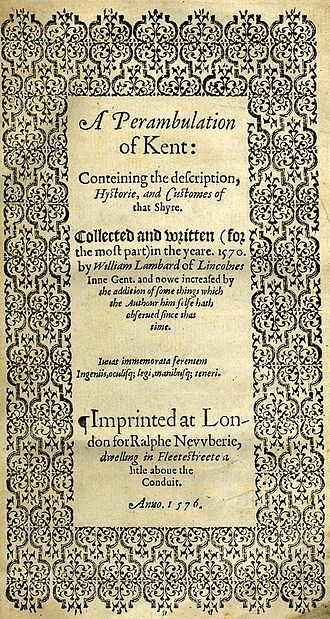 'Houses of Benedictine nuns: Abbey of Barking', A History of the County of Essex: Volume 2. pp. 115–122. ^ Drake, Gavin (23 May 2016). "Becket's bones return to Canterbury Cathedral". anglicannews.org. Retrieved 2016-05-23. ^ Reames, Sherry L. (January 2005). "Reconstructing and Interpreting a Thirteenth-Century Office for the Translation of Thomas Becket". Speculum. 80 (1): 118–170. doi:10.1017/S0038713400006679. JSTOR 20463165. Quoting p.118, 119. ^ Scully, Robert E. (October 2000). "The Unmaking of a Saint: Thomas Becket and the English Reformation". The Catholic Historical Review. 86 (4): 579–602. doi:10.1353/cat.2000.0094. JSTOR 25025818. Especially p. 592. ^ a b "The Origins of Canterbury Cathedral". Dean and Chapter of Canterbury Cathedral. Retrieved 10 November 2011. ^ "The Martyrdom of Saint Thomas Becket (Getty Museum)". The J. Paul Getty in Los Angeles. Archived from the original on 9 July 2007. ^ Enciclopedia del románico en Castilla y León: Soria III. Fundación Santa María la Real – Centro de Estudios del Románico, pp. 961, 1009–17. ^ "St Thomas Becket landing at Sandwich (Relief)". Victoria & Albert Museum. Retrieved 26 December 2018. ^ "St Thomas Becket meeting the Pope (Panel)". Victoria & Albert Museum. Retrieved 26 December 2018. ^ "Consecration of St Thomas Becket as archbishop (Panel)". Victoria & Albert Museum. Retrieved 26 December 2018. ^ "Canterbury (England) – Coat of arms". Heraldry of the World. Retrieved 31 January 2017. ^ Child, Harold Hannyngton (1912). "Irving, Henry" . In Lee, Sidney. Dictionary of National Biography, 1912 supplement​. London: Smith, Elder & Co.
^ Malvern, Jack (10 June 2006). "Hollywood shines a light on geezers who killed à Becket". The Times. London. Retrieved 21 June 2010. ^ Hughes, Peter (26 May 2000). "Music festivals: We pick 10 of the best". Telegraph. Retrieved 3 July 2018. ^ "Becket Fund". Becket Fund. Retrieved 17 January 2010. ^ a b c d Coughlan, Sean (31 January 2006). "UK | Saint or sinner?". BBC News. Retrieved 17 January 2010. ^ Weaver, Matthew (31 January 2006). "Asking silly questions". The Guardian. London. News Blog. Retrieved 2 May 2008. ^ "Portsmouth Cathedral, St Thomas' Cathedral, Old Portsmouth". Retrieved 3 December 2018. ^ "Welcome to Monmouth, St Thomas Church Monmouth". Retrieved 13 December 2011. ^ "South West England". Heritage at Risk. 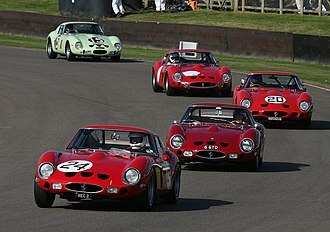 English Heritage. p. 243. ^ Historic England. "Church of St Thomas a Becket (1394116)". National Heritage List for England. Retrieved 13 December 2011. ^ "Church of St Thomas a Becket, Capel, Kent". Churches Conservation Trust. Retrieved 13 December 2011. ^ "Church of St Thomas the Martyr, Bristol, Bristol". Churches Conservation Trust. Retrieved 13 December 2011. ^ "St Thomas the Martyr, Oxford". A Church Near You. Archived from the original on 27 September 2007. Retrieved 13 December 2011. 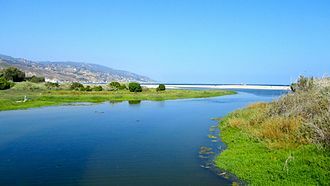 ^ "Saint-Thomas de Cantorbéry". 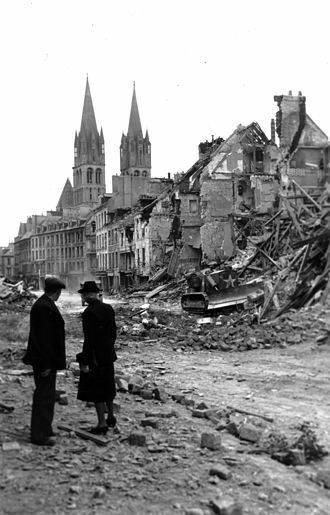 Mondes-normands.caen.fr. Retrieved 18 June 2012. ^ "Saint-Thomas Becket (Bénodet)". Linternaute.com. 18 March 2008. Retrieved 18 June 2012. Barlow, Frank (1986). Thomas Becket. Berkeley, CA: University of California Press. ISBN 978-0-520-07175-9. Butler, Alban (1991). Walsh, Michael, ed. Butler's Lives of the Saints. New York: HarperCollins Publishers. Douglas, David C.; Greenway, George W. (1953). English Historical Documents 1042–1189. 2 (Second, 1981 ed.). London: Routledge. ISBN 978-0-415-14367-7. Hutton, William Holden (1910). Thomas Becket – Archbishop of Canterbury. London: Pitman and Sons Ltd. ISBN 978-1-4097-8808-9. Knowles, Elizabeth M. (1999). Oxford Dictionary of Quotations (Fifth ed.). New York: Oxford University Press. ISBN 978-0-19-860173-9. Lee, Christopher M. (1997). This Sceptred Isle. London: BBC Books. ISBN 978-0-563-38384-0. Robertson, James Craigie (1876). Materials for the History of Thomas Becket, Archbishop of Canterbury. ii. London: Longman. Schama, Simon (2002). A History of Britain: At the Edge of the World? : 3000 BC–AD 1603. London: BBC Books. ISBN 978-0-563-38497-7. Stanley, Arthur Penrhyn (1855). Historical Memorials of Canterbury. London: John Murray. Staunton, Michael (2001). The Lives of Thomas Becket. Manchester, UK: Manchester University Press. ISBN 978-0719054549. Staunton, Michael (2006). 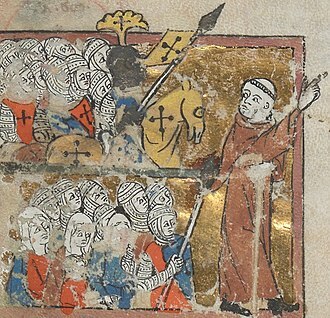 Thomas Becket and His Biographers. Woodbridge, UK: The Boydell Press. ISBN 978-1-84383-271-3. Warren, W. L. (1973). Henry II. Berkeley: University of California Press. ISBN 978-0-520-03494-5. Duggan, Anne (2005), Thomas Becket, London: Hodder Arnold. Knowles, David (1970), Thomas Becket, London: Adam & Charles Black. Duggan, Anne (1980), Thomas Becket: A Textual History of his Letters, Oxford: Clarendon Press. Duggan, Anne (Hrsg.) (2000), The Correspondence of Thomas Becket, Archbishop of Canterbury (1162–1170). 2 Bände, lat./engl., Oxford: Clarendon Press. Pope Alexander III, born Roland of Siena, was Pope from 7 September 1159 to his death in 1181. He laid the stone for the Notre-Dame de Paris. Pope Alexander III was born in Siena, from 14th century he is referred to as a member of the aristocratic family of Bandinelli, although this has not been proven. Noonan and Rudolf Weigand have shown this to be another Rolandus and he probably studied at Bologna, where Robert of Torigni notes that he taught theology. In October 1150, Pope Eugene III created him Cardinal-Deacon of Santi Cosma e Damiano, he became Cardinal-Priest of St Mark. In 1153, he became chancellor and was the leader of the cardinals opposed to German Emperor Frederick I Barbarossa. He negotiated the Treaty of Benevento, which restored peaceful relations between Rome and the Kingdom of Sicily, on 7 September 1159, he was chosen the successor of Pope Adrian IV. A minority of the cardinals, elected the cardinal priest Octavian and this meant that Alexanders legitimacy was gaining strength, as soon proved by the fact that other monarchs, such as the king of France and King Henry II of England, recognized his authority. Because of imperial strength in Italy, Alexander was forced to reside outside of Rome for a part of his pontificate. The first period he spent in France, the latter chiefly in Gaeta, Anagni, Alexander III was the first pope known to have paid direct attention to missionary activities east of the Baltic Sea. The latter appointed a Benedictine monk Fulco as a bishop in Estonia, in 1171, Alexander became the first pope to address the situation of the Church in Finland, with Finns allegedly harassing priests and only relying on God in time of war. Besides checkmating Barbarossa, Alexander humbled King Henry II of England for the murder of Thomas Becket in 1170, to whom he was unusually close and this was the second English saint canonized by Alexander, the first being Edward the Confessor in 1161. Nonetheless, he confirmed the position of Henry as Lord of Ireland in 1172, even as a fugitive, Alexander enjoyed the favour and protection of Louis VII of France. In March 1179, Alexander III held the Third Council of the Lateran, one of the most important mediaeval church councils, the rule was altered slightly in 1996, but was restored in 2007. Theobald of Bec was archbishop of Canterbury from 1139 to 1161. He was a Norman, his birth date is unknown. Some time in the late 11th or early 12th century Theobald became a monk at the Abbey of Bec, King Stephen of England chose him to be Archbishop of Canterbury in 1138. Canterburys claim to primacy over the Welsh ecclesiastics was resolved during Theobalds term of office when Pope Eugene III decided in 1148 in Canterburys favour. Theobald faced challenges to his authority from a bishop, Henry of Blois, Bishop of Winchester and King Stephens younger brother. On one occasion Stephen forbade him from attending a papal council, but Theobald defied the king, Theobalds relations with his cathedral clergy and the monastic houses in his archdiocese were difficult. Serving during the disorders of Stephens reign, Theobald succeeded in forcing peace on the king by refusing to consecrate Stephens son and heir, Eustace. After Eustaces death in 1153, Stephen recognised his rival Henry of Anjou as his heir, after a long illness, Theobald died in 1161, following which unsuccessful efforts were made to have him canonised as a saint. Theobald was the patron of his successor Thomas Becket, and a number of future bishops and archbishops served as his clerks. During his time as archbishop Theobald augmented the rights of his see, historians of his time and were divided on his character and he is often overlooked in the historical record, mainly because of the fame of his successor. 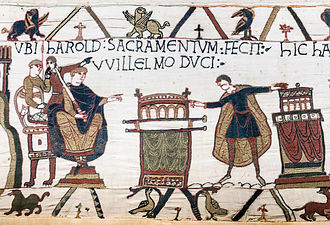 Theobalds family was from the area around Thierville near Le Bec-Hellouin, in the Risle River valley, the modern historian Frank Barlow speculates that Theobald may have been a distant relative of his successor as archbishop, Thomas Becket, as Beckets family came from the same part of Normandy. His father was supposedly a knight, but no contemporary reference gives his name and his brother Walter became a priest, and a bishop. Theobald entered the Abbey of Bec in Normandy as a Benedictine monk in the late 11th or early 12th century, but as William was abbot from 1096 to 1124, that leaves a wide range of possible entry dates. Theobald was the 266th monk admitted under William, out of 346, in 1127 Theobald was made prior of Bec, after Boso succeeded William as abbot. Henry of Blois, often known as Henry of Winchester, was Abbot of Glastonbury Abbey from 1126, and Bishop of Winchester from 1129 to his death. He was a son of Stephen Henry, Count of Blois by Adela of Normandy, daughter of William the Conqueror. Thus, he was a brother of Stephen, King of England. 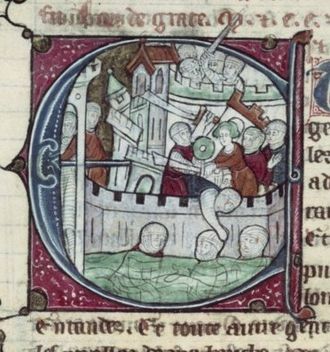 Henry was one of five sons of Stephen II, Count of Blois, by Adela of Normandy, Henrys father died in 1102 while on crusade during the Second Battle of Ramla, leaving an estate with more than 350 castles and large properties in France including Chartres. Henry was educated at Cluny and adhered to the principles of Cluniac reform, Henry was brought to England by King Henry I, to be Abbot of Glastonbury. On 4 October 1129, he was given the bishopric of Winchester and he was consecrated bishop on 17 November 1129. He had ambitions to become Archbishop of Canterbury, but refused to abandon his work, soon after his appointment to the see of Winchester, Henry came to resent his subservience to Canterbury. 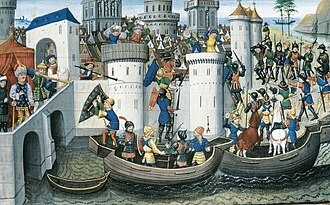 He therefore set about building a power-base to persuade the king to create a third, when his brother was unavailable, Henry of Blois was the most powerful, and possibly the wealthiest, man in England. Stephen of Blois was crowned King of England in 1135, after the Battle of Lincoln in 1141, Henry found it more advantageous to support Empress Matilda, but found her arrogant and greedy. Before and after his elevation to Bishop, Henry of Blois was an advisor to his brother Stephen, Henry of Blois engineered hundreds of projects, including villages and canals and smaller churches. He was most proud of his contributions to the greatest developments at Glastonbury Abbey, unlike most bishops of his age, Henry had a passion for architecture. He built the additions to Winchester Cathedral and Wolvesey Castle in Winchester. 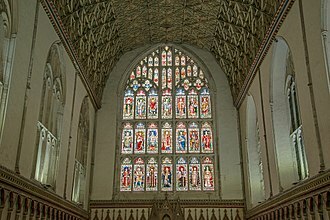 He designed and built additions to many palaces and large houses including the castle of Farnham, Surrey, in London he built Winchester Palace as a residence for the bishops of Winchester. Ralph de Diceto was archdeacon of Middlesex, dean of St Pauls Cathedral, and author of two chronicles, the Abbreviationes chronicorum and the Ymagines historiarum. He is first mentioned in 1152, when he received the archdeaconry of Middlesex and he was probably born between 1120 and 1130, of his parentage and nationality we know nothing. 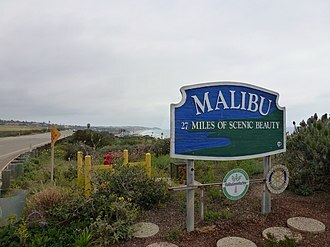 The common statement that he derived his surname from Diss in Norfolk is a mere conjecture, dicetum may equally well be a Latinized form of Dissai, Dicy, or Dizy, place names in Maine, Picardy and Champagne. In 1152 Diceto was already a master of arts and and his reputation for learning and integrity stood high. He was regarded with respect and favor by Arnulf of Lisieux and Gilbert Foliot of Hereford, quite naturally, the archdeacon took in the Becket question the same side as his friends. By 1164 he had acquired the livings of Aynho and Finchingfield, Diceto was selected in 1166 as the envoy of the English bishops when they protested against the excommunications launched by Becket. But, apart from this episode, which he neglects to record. The natural impartiality of his intellect was accentuated by a certain timidity, about 1180 be became dean of St Pauls. In this office he distinguished himself by careful management of the estates, by restoring the discipline of the chapter and his two chief works, the Abbreviationes chronicorum and the Ymagines historiarum, cover the history of the world from the birth of Christ to the year 1202. The former, which ends in 1147, is a work of learning and industry, the latter, beginning as a compilation from Robert de Monte and the letters of Foliot, becomes an original authority c.1172 and a contemporary record c. In precision and fullness of detail the Ymagines are inferior to the chronicles of the so-called Benedict, though an annalist, Diceto is careless in his chronology. The documents which he incorporates, while important, are selected on no principle. He has little sense of style but displays considerable insight when he ventures to discuss a political situation, for this reason, and on account of the details with which they supplement the more important chronicles of the period, the Ymagines are a valuable though a secondary source. Segni is an Italian town and comune located in Lazio. The city is situated on a hilltop in the Lepini Mountains, according to ancient Roman sources, Lucius Tarquinius Superbus, the seventh king of Rome, established a Roman colony at the town, known as Signia. 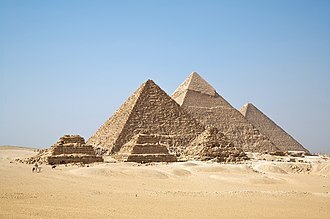 Additional colonists were sent there in 495 BC. The ancient architectural remains at the site date mostly from the Republican period and these include a circuit of fortification walls built using polygonal masonry. The walls incorporated a system of gates, including the Porta Saracena which is covered by a large monolithic architrave, atop the ancient acropolis of Segni sits the podium of the temple of Juno Moneta, which now supports a Medieval church of Saint Peter. Segni was a refuge for various popes with Pope Eugene III erecting a palace in the middle of the twelfth century, the Counts of Marsi, hereditary enemies of the Orsini, obtained Segni in the twelfth century. The family called de Conti produced several popes and many cardinals, in 1558 Segni was sacked by the forces of the Duke of Alba in the war against Pope Paul IV, immense booty was captured, as the inhabitants of the other towns of the Campagna had fled thither. The Lord Chancellor, formally the Lord High Chancellor of Great Britain, is a senior functionary in the government of the United Kingdom. They are appointed by the Sovereign on the advice of the Prime Minister, the Lord Chancellor is the second highest ranking of the Great Officers of State, ranking after only the Lord High Steward. Prior to the Union there were separate Lords Chancellor for England and Wales, the Lord Chancellor is a member of the Cabinet and, by law, is responsible for the efficient functioning and independence of the courts. 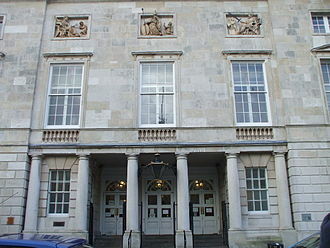 In 2007 there were a number of changes to the legal system, the current Lord Chancellor is Elizabeth Truss, who is Secretary of State for Justice. One of the Lord Chancellors responsibilities is to act as the custodian of the Great Seal of the Realm, a Lord Keeper of the Great Seal may be appointed instead of a Lord Chancellor. The two offices entail exactly the same duties, the distinction is in the mode of appointment. The seal is said to be in commission, since the 19th century, only Lord Chancellors have been appointed, the other offices having fallen into disuse. 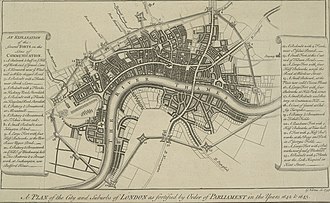 The office of Lord Chancellor of England may trace its origins to the Carolingian monarchy, in England, the office dates at least as far back as the Norman Conquest, and possibly earlier. Some give the first Chancellor of England as Angmendus, in 605, other sources suggest that the first to appoint a Chancellor was Edward the Confessor, who is said to have adopted the practice of sealing documents instead of personally signing them. A clerk of Edwards, was named chancellor in some documents from Edwards reign, in any event, the office has been continuously occupied since the Norman Conquest. The chancellor headed the office or chancery. Formerly, the Lord Chancellor was almost always a churchman, as during the Middle Ages the clergy were amongst the few men of the realm. The Lord Chancellor performed multiple functions—he was the Keeper of the Great Seal, the royal chaplain. Thus, the position emerged as one of the most important ones in government and he was only outranked in government by the Justiciar. Window tracery from the Priory, on display in the Museum of London. A stained glass window depicting the murder of Thomas Becket, in Canterbury Cathedral.